After a victorious first crack at hacking audio solutions at Radio Hack Europe in Vienna, I came back for round two. The first Rebounce Audio hackathon took place 24–26 January. My team and I prototyped an Alexa skill to allow users to access additional content on a given subject within a news report via voice command. 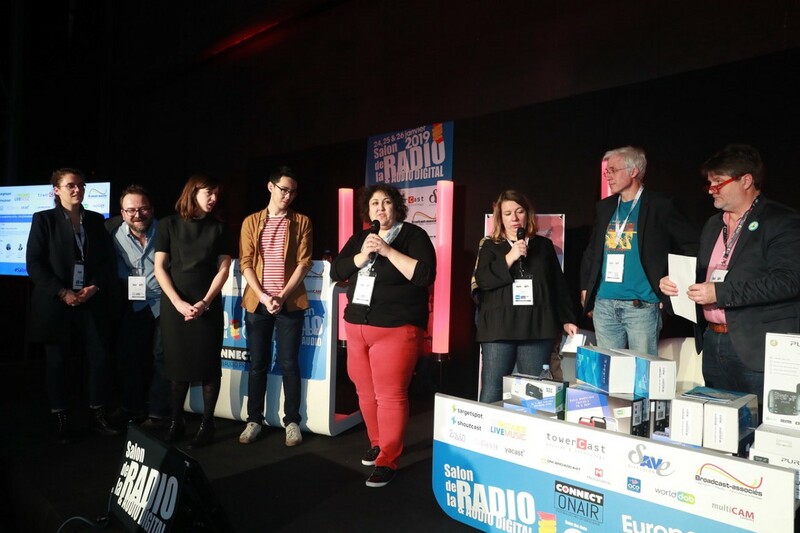 The hackathon was held during the Salon de la Radio, an annual radio industry conference in Paris. When I registered for the hack there was a call for project proposals. The organisers laid out two paths: “new editorial content” or “use cases for new formats”. I wondered about the framing — would all the ideas be set in stone before the hack began? Would there be any possibility for the exciting eleventh-hour hack pivot? I’ve organised dozens of hackathons for media organisations as part of the Editors Lab programme. In that context, I’d always warned participants not to get too attached to an idea before the hack. Brainstorming beforehand can be helpful, but the goals were to encourage collaboration, nimbleness and to provide a space to take risks and fail safely. a way for parents to create soundscapes for premature babies in incubators. Among that crowd, one pitch stood out for me. 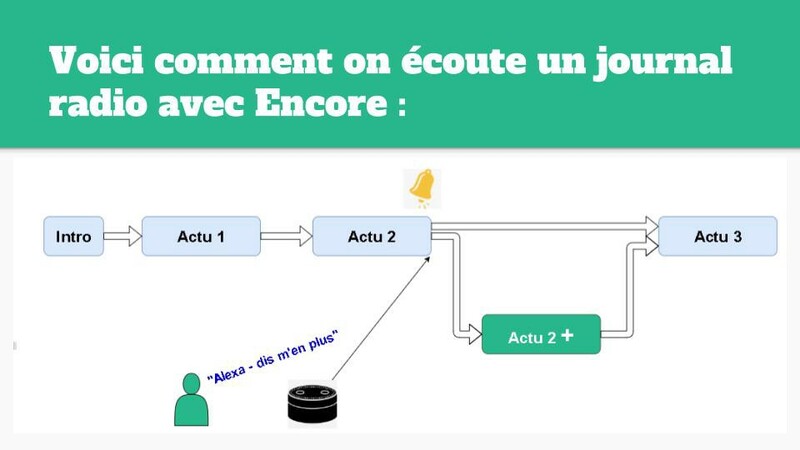 It seemed to respond to a real editorial issue with a clever application of tech: Radio France journalist Fabien Randrianarisoa wanted a way to serve validated yet unused content to listeners via voice assistant. I’d just begun a new role at radio software company NETIA to work with clients (like Radio France) on new products and workflows. We teamed up with Frédéric Faber and Rob Chatterjea, both part of DAVID Systems, another radio software provider and frequent NETIA collaborator. This team was already feeling quite serendipitous — the proposal fit well within the context of our current companies and roles. I was glad to be hacking something feasible! I wanted to know more about the inspiration for this project. Fabien was frustrated that his reporting was going unaired because of the time constraints imposed by terrestrial radio formats, even though lots of listeners are moving to different, non-linear, modes of consumption. This was the one-minute of Fabien’s reporting that made it to air. He was sent to cover a story on euthanasia or “death with dignity”, which is not legal in France. He spoke with terminally-ill people who were planning to travel abroad to end their lives. From that reporting, he created three one-minute story packages that included different perspectives on the subject. These three packages were validated and marked “ready-to-broadcast” by his editor — yet only one made it to air. The story was for a 15-minute general news programme so other topics needed more urgent coverage. But just because death with dignity laws aren’t breaking news, doesn’t mean there’s no demand for that content. 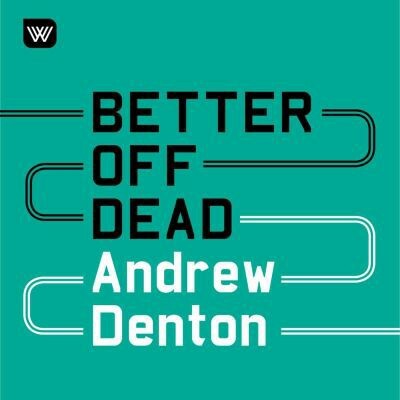 If you are interested in learning more about euthanasia laws around the world, check out Australian podcast “Better off dead”. Finding a way to allow users to access this unaired content seemed like a win for everyone: the journalist is happy to get their story out, the listener is happy to access additional content and the radio station is happy to take full advantage of its resources, while adding value for its users. Now to figure out how we would do it. The brainstorm continued: what if the skill could give you more of this, less of that via “hear more” or “skip this” commands for a more personalised radio experience? What if you could also choose how long you wanted the report to be? 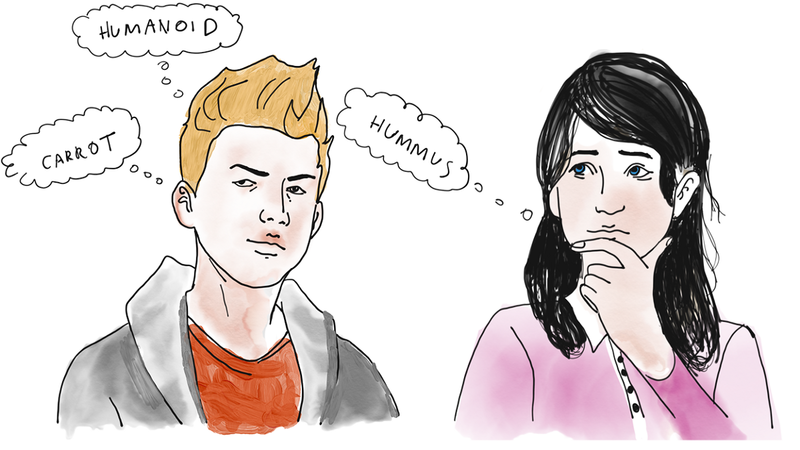 Personalisation of news is a vast topic that can take on many forms. Some useful benchmarks for us included Les Croissants, a 20-minute morning audio news show, personnalisable by subject preferences and delivery time. Kinzen is new service to watch in the personalised news space. They aim for a streamlined news reading experience to combat information overload. We also wanted to imagine a skill that could unearth archival content on the same topic for users seeking a truly deep dive into a subject. Wouldn’t it be great to have the option to go further into the subject after hearing the two minutes “lost” story packages? Maybe the skill could suggest an interview from last month, or a podcast episode from last year? This touches on another big topic: transcription and indexing audio. Audio has a massive discovery challenge. Radio clips or podcasts are often searchable only by their title or a short episode description, which makes audio very difficult to discover via search engine. In order to change this, audio must be transcribed as text and indexed. Audioburst is a startup making strides to “organise the world’s audio”, aggregating news from many sources and making it searchable by keyword. I can’t help but see parallels with the early days of Google where publishers were first glad that a tool would help users discover their content, and then soon found their audiences had been wholly usurped. Time will tell! In any case, a clean and searchable audio library will have big implications as smart speakers and voice assistants continue to gain ground. Media that is well-referenced could win big: the SEO goal is no longer getting to the first page of results, but being the only result. 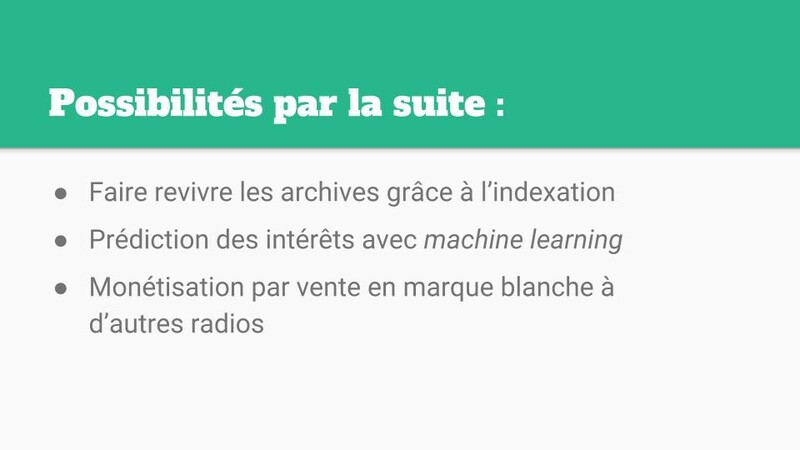 Radio France is already working on a project with the goal of making their archives accessible by topic funded by a (speaking of) Google DNI grant. To recap: Personalised audio, check. Searchable audio, check. And hey, wouldn’t it be great if you could ask Alexa to repeat that last bit in case the coffee machine went off just at the wrong moment. We weren’t going to solve all the quandaries of the audio universe over two days so it was time to edit. We’d thrown it all at the wall, now to see what stuck. We went back to basics. Fabien, our journalist, arrived with a problem, let’s focus on that. But we needed to flip the narrative to respond to a listener’s need, as the radio consumer was our end user. The user wants more content, unconstrained by the time limits of linear radio. The best hacks are simple: let’s offer one solution to one problem. To build the skill, we had been playing around with Voiceflow, an online service to create Alexa skills sans coding, a useful trick as our team was sans coders! 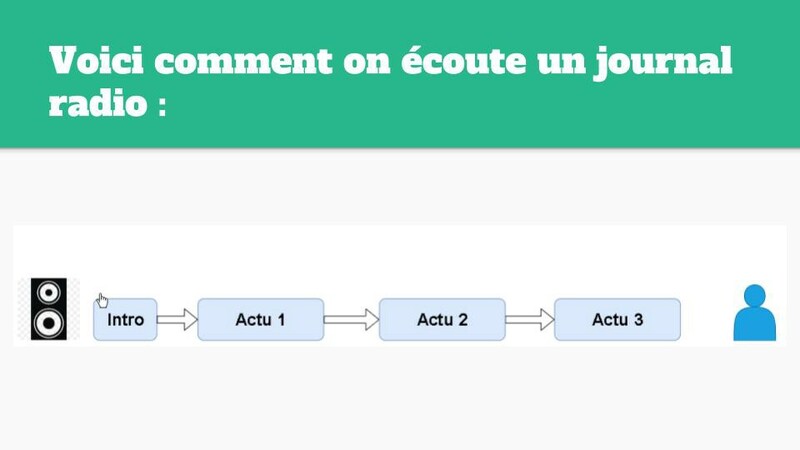 On Voiceflow, we mapped out a journey of listening to a general news report and created a point to signal the user with a chime that there was more content (the unaired packages Fabien mentioned) for one of the stories, that the user could then choose to dig into. We wanted to give the option to go even deeper into the topic by accessing a longer piece of archive content, but eventually decided against it. This would have prevented the skill from being immediately implementable within the current ecosystem, as Radio France archives are not yet cleanly indexed. At last we knew what we wanted to accomplish, and (perhaps more importantly) we knew what we didn’t want to do. This is how you listen to a news show. > This is how you listen to a news show with Encore. The simple user journey also worked well in terms of meeting people where they’re at with the technology. With few voice assistant users currently going beyond “Alexa, what’s the weather?” we figured one command was the right speed. For insights into UX design for voice interaction, check out this report on BBC’s user testing for its first piece of interactive audio fiction The Inspection Chamber. The interim pitch was a helpful deadline for us to make some of these decisions. Five teams ended up forming from the ten initial proposals. Of all the interim pitches, ours had the least discussion which we took to mean that we were on the right track — our product was clear and well-communicated (thanks to teammate Rob)! We played around with different things to call the skill. Our working title that made us giggle was “More of the same” but we wanted to find something more polished and less jokey for the pitch. We wanted it to make sense in English and French, both were our working languages. We kept coming back to “Encore”, which got our idea across efficiently. For the logo, I looked to Canva, a lifeline for design-challenged folks like me. 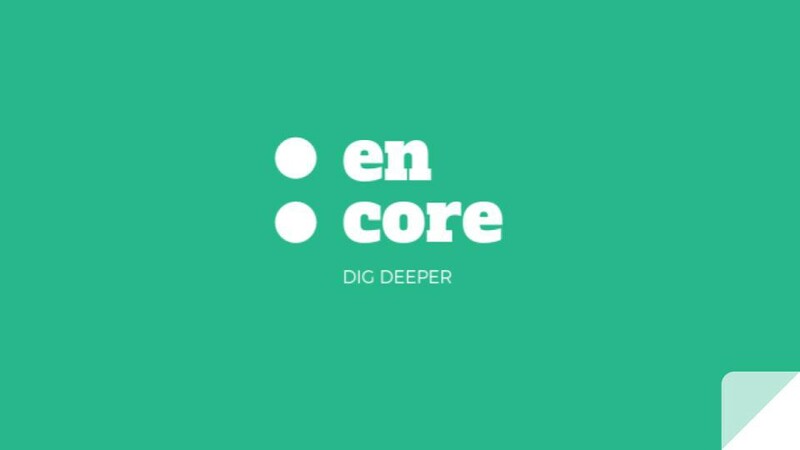 We liked how the two dots mirrored the France Info logo and that we could isolate “core” in the name. And green because recycling (content)! We put a lot of our initial ideas into a “Next steps” slide: giving archive content a new life, machine learning for personalisation, etc. We got the Voiceflow working the way it was supposed to, but discovered that there was a validation period by the Amazon store before our skill would be accessible via Alexa. So for the pitch, we were going to have to fake it. We took a report that already had multiple story elements and cut it into several pieces so we could say “Alexa, give me more” and get the next item. We must have done a good pitch because we ended up winning (!) the LINCC Paris&Co prize for Encore, an innovation platform and incubator for digital projects in the cultural and creative sectors. It’ll be exciting to continue work on this project and see what form it will take going forward! Stay tuned. Former #EditorsLab Programme Manager @GENinnovate. I always know where my towel is.